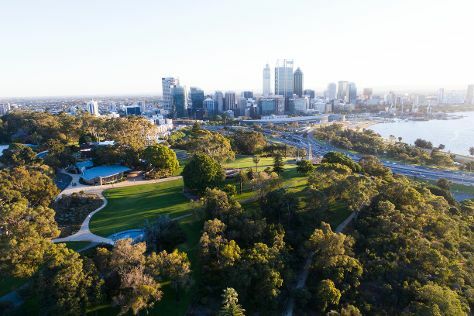 Start off your visit on the 25th (Tue): explore the activities along Swan River, then contemplate the long history of The Perth Mint, and then stroll around Kings Park & Botanic Garden. To see ratings, where to stay, traveler tips, and tourist information, use the Perth trip planner. Ahmedabad, India to Perth is an approximately 14.5-hour flight. You'll lose 2 hours traveling from Ahmedabad to Perth due to the time zone difference. Prepare for colder weather when traveling from Ahmedabad in June: high temperatures in Perth hover around 23°C and lows are around 9°C. Finish your sightseeing early on the 25th (Tue) so you can travel to Uluru-Kata Tjuta National Park. On the 26th (Wed), tour the pleasant surroundings at Kuniya Walk, then browse the exhibits of Walkatjara Art, then explore the striking landscape at Kata Tjuta, and finally get outside with Walpa Gorge. Keep things going the next day: go for a walk through Lungkata Walk, trek along Uluru Hiking Path, and then take in the dramatic natural features at Uluru. 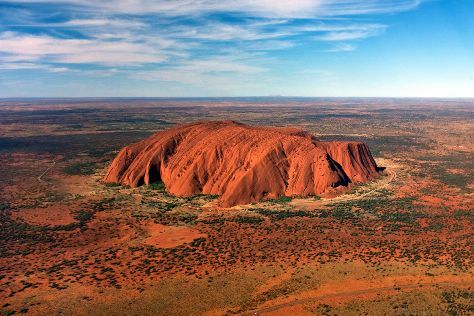 To find photos, more things to do, other places to visit, and more tourist information, refer to the Uluru-Kata Tjuta National Park sightseeing planner. Getting from Perth to Uluru-Kata Tjuta National Park by flight takes about 9.5 hours. Other options: drive. The time zone difference when traveling from Perth to Uluru-Kata Tjuta National Park is 1 hour. Expect a daytime high around 22°C in June, and nighttime lows around 7°C. Cap off your sightseeing on the 27th (Thu) early enough to travel to Melbourne. Melbourne is known for museums, shopping, parks, nightlife, and zoos & aquariums. 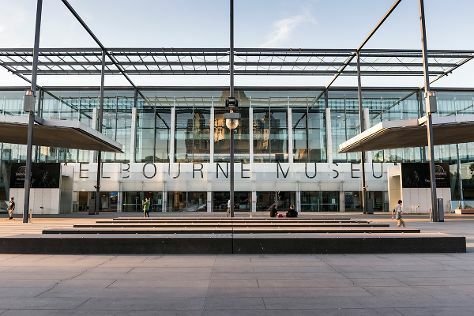 Your plan includes some of its best attractions: don't miss a visit to Royal Botanic Gardens, take in panoramic vistas at Eureka Skydeck 88, admire the striking features of Shrine of Remembrance, and admire the masterpieces at National Gallery of Victoria. Traveling by flight from Uluru-Kata Tjuta National Park to Melbourne takes 5 hours. Alternatively, you can drive. While traveling from Uluru-Kata Tjuta National Park, expect a bit cooler days and about the same nights in Melbourne, ranging from highs of 16°C to lows of 6°C. Wrap up your sightseeing on the 30th (Sun) early enough to travel to Sydney. Sydney is known for nightlife, trails, beaches, parks, and museums. 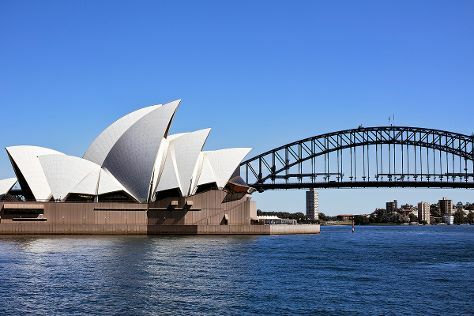 Your plan includes some of its best attractions: see a show at Sydney Opera House, see the interesting displays at Australian National Maritime Museum, meet the residents at Sea Life Sydney Aquarium, and hike along The Opera House to the Botanic Gardens Walk. To find photos, traveler tips, maps, and other tourist information, read Sydney trip planning app . You can fly from Melbourne to Sydney in 3.5 hours. Other options are to do a combination of shuttle and flight; or drive. Expect somewhat warmer temperatures when traveling from Melbourne in June; daily highs in Sydney reach 21°C and lows reach 11°C. Finish your sightseeing early on the 3rd (Wed) to allow enough time to travel to Brisbane. Start off your visit on the 4th (Thu): take in nature's colorful creations at Roma Street Parkland and then stroll around South Bank Parklands. Here are some ideas for day two: get great views at Mount Coot-tha Lookout and then identify plant and animal life at Lone Pine Koala Sanctuary. 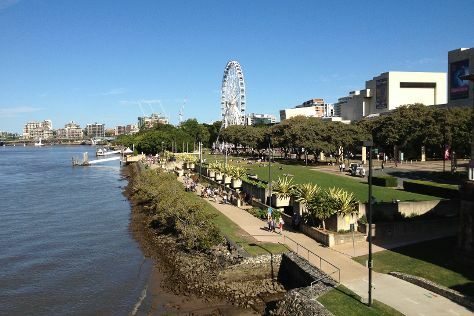 To find more things to do, where to stay, traveler tips, and other tourist information, use the Brisbane trip planner. You can fly from Sydney to Brisbane in 4 hours. Alternatively, you can do a combination of flight and bus; or drive. Expect a daytime high around 24°C in July, and nighttime lows around 11°C. Wrap up your sightseeing on the 5th (Fri) to allow time to travel to Port Douglas. On the 6th (Sat), discover the deep blue sea with a scuba or snorkeling tour. Get ready for a full day of sightseeing on the 7th (Sun): look for gifts at With Sugar, meet the residents at Wildlife Habitat Port Douglas, then look for all kinds of wild species at Hartley's Crocodile Adventures, and finally make a trip to St Mary’s by The Sea chapel. To see maps, traveler tips, ratings, and tourist information, read our Port Douglas route planner . Do a combination of flight and shuttle from Brisbane to Port Douglas in 6 hours. Alternatively, you can do a combination of bus, flight, and shuttle; or drive. Traveling from Brisbane in July, expect Port Douglas to be somewhat warmer, temps between 30°C and 20°C. Cap off your sightseeing on the 7th (Sun) early enough to go by car to Cairns. On the 8th (Mon), see some colorful creatures with a scuba or snorkeling tour. On the 9th (Tue), you'll have a packed day of sightseeing: admire the natural beauty at Botanical Gardens, then let the kids burn off some steam at Muddy's Playground, and then stroll through Esplanade Boardwalk. You can drive from Port Douglas to Cairns in 1.5 hours. Alternatively, you can take a bus; or take a shuttle. July in Cairns sees daily highs of 30°C and lows of 20°C at night. Wrap up your sightseeing by early afternoon on the 10th (Wed) to allow time for travel back home.